my funniest fabric design yet, i think. does the garlic look worried? ...not about vampires. the kohlrabi went crazy and the beans are up to no good. the leek is sporting a pompadour, while the ear of corn is going for more of a wind-blown-look. the print quality is really great. 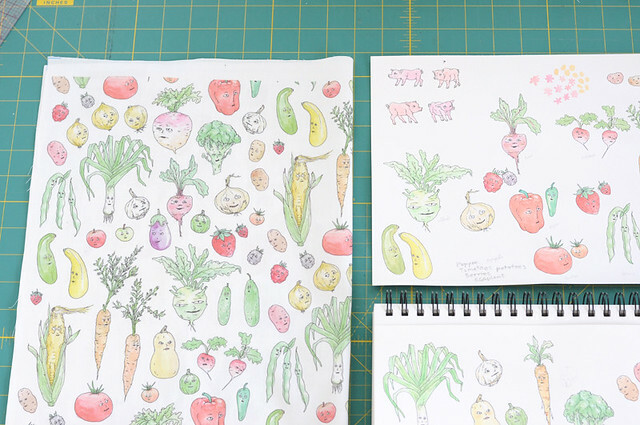 you can hardly tell the difference between my original water-colored drawings on the right and the finished fabric on the left! i am still trying to decide what to make with the piece i ordered. a dish towel? 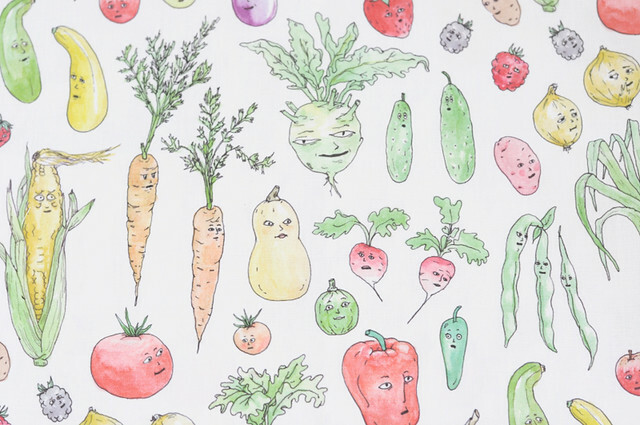 a produce bag? napkins? i think kitchen curtains would be hilarious, but we don't have a window in our kitchen, so that's out. 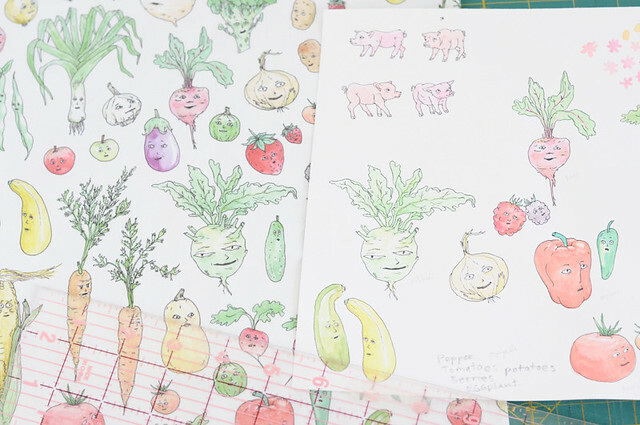 (produce with personality fabric available here). What an awesome print! So cute and well-executed. I think it would make a great dishtowel, or a gardening apron. thanks! love the idea of a gardening apron, i hadn't thought of that!